Mrs Weekly Flyer likes to visit a Spa or two sometimes when traveling. So when the SpaFinder 40 SkyMiles offer came up last year I loaded up the truck. I could earn miles and give Mrs Weekly Flyer a nice gift at the same time. We purchased enough gift cards to earn about 20,000 Delta SkyMiles. We then used the gift cards to visit eligible Spas. With the SpaFinder offer gone and a surprise visit to the Spa coming up for Mrs Weekly Flyer, I thought it would be helpful to share a few ways to earn points by visiting Spas. A Bliss Spa can be found in a number of Starwood hotels and resorts. We’ve visited a Bliss Spa at the W Hollywood, Atlanta, and a few other locations. They are generally nice and easy to visit, especially if you are already staying in the hotel. You can earn 5 extra points per dollar with Bliss by spending through Chase’s Ultimate Rewards Mall – the program of the Chase Sapphire Preferred® Card, Chase Ink Plus and Chase Ink Bold. . 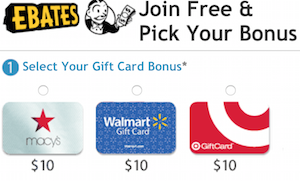 Gift cards and other products can be purchased to earn the bonus points. SpaFinder offers 5 Delta SkyMiles per dollar spent. In 2011, SpaFinder offered a 40 SkyMiles per dollar offer. The deal was only live for a few days. Many people were able to get in on the offer, including yours truly, but soon SpaFinder discovered it was a mistake and pulled the offer. Kudos to them for honoring the 40 SkyMiles per dollar deal. 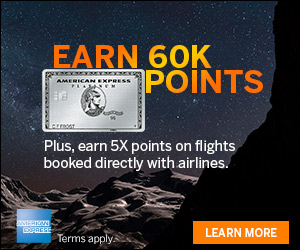 Putting a purchase on a travel credit card can earn even more points or miles. You can earn 3 AAdvantage miles per dollar spent at SpaFinder when you purchase AAdvantage eShopping portal. You can also opt to earn only 2 Hawaiian Airline miles with SpaFinder through the Hawaiian Airline site. Hyatt recently rolled out a program to earn and redeem points at Hyatt restaurants and Spas. Members will earn 5 points per dollar. For a full list of where you can earn points at a Hyatt, see the list of participating properties. You can also redeem your points for certificates good at Spas and Restaurants which I described in the using Hyatt points for other redemption options post last week. The Starwood Preferred Guest program offers points for spending at hotels. However, it isn’t clear from their site and reports are hazy about earning points at SPG Spas. 5.3. “Eligible Charges” are charges incurred by you on your room account for Eligible Rates, food and beverage (excluding alcoholic beverage purchases where prohibited by law), direct dialed telephone and direct-dialed in-room fax, laundry/valet, and in-room movies and video games only. Eligible Charges do not include: …..
You can earn points by visiting Spas. The current offers are not as lucrative as the 2011 SpaFinder deal, but they are good enough not to be ignored. Are there any other options you use to earn points at Spas? How many Hyatt points do we earn per dollar spent at a participating Hyatt spa or restaurant? And do we just give them our Gold Passport number? Thanks! 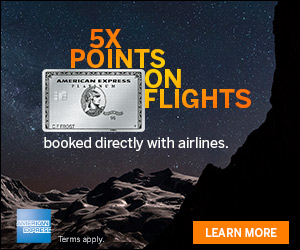 You can also register your credit cards with ThanksAgain.com and earn miles w/airline partners when you shop, dine or park at airports. There are a lot of Spas partners on the site. I earn a lot of US Air miles this way. I’ve always had good luck with getting points for SPG spa charges billed to my room. And, when I was in Sydney, the Sheraton was actually running a special in the SPA where members could earn double points. I will also say that I’ve had some trouble with SpaFinder gift certificate redemption at times. It’s worth checking directly with the Spa you’re visiting to make sure they’ll accept it. That method has never failed me yet. But it can’t hurt to double confirm with the location in advance with a quick phone call. I just noticed that SpaFinder fixed the ‘glitch’ that was present during the 40 miles/$ promo. During that promo, they allowed you to input a promo code for 10-12% off ALONG WITH your frequent flyer number. Now, if you enter a promo code, they disable and hide the box where you enter your FF number. So now they are forcing you to make a choice – discount or miles. In most cases, it makes sense to take the discount. Code ‘ACCESS’ gives you 10% off. BigCrumbs gives you 4.2% cashback. To me, this combo (that works out to be a 13.78% discount) is worth more than 3 or 4 miles per dollar spent right now. Hope I explained that coherently! Buying SpaFinder cards at Costco saves 20%. You get two $50 certificates for $79.99. If your local Costco doesn’t have them, costco.com will ship for free. Hi infamousDX – The best earning option above is 5 miles per dollar, not 3 or 4. A great cash back option for those with Big Crumb accounts for sure. Hi D – Thanks for sharing the deal! I’ve updated the post above.